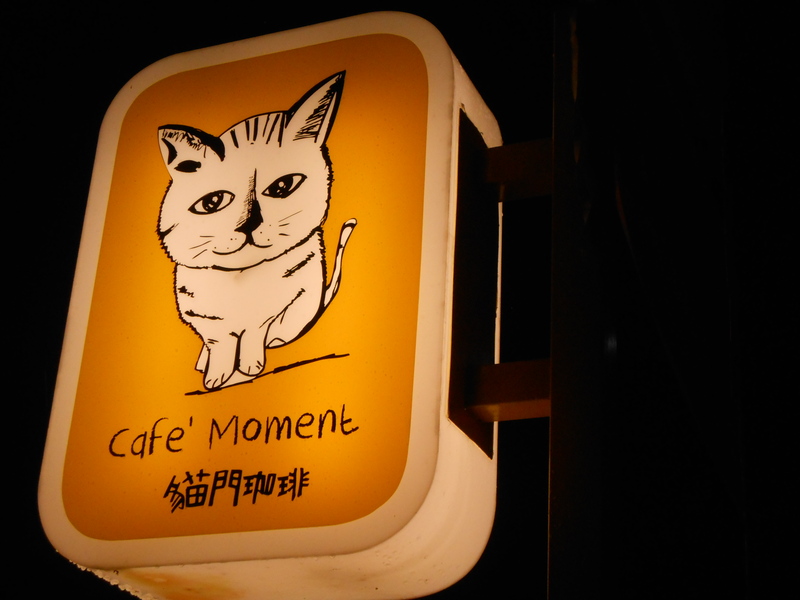 I went to this cafe about a week before I left Taiwan in October. 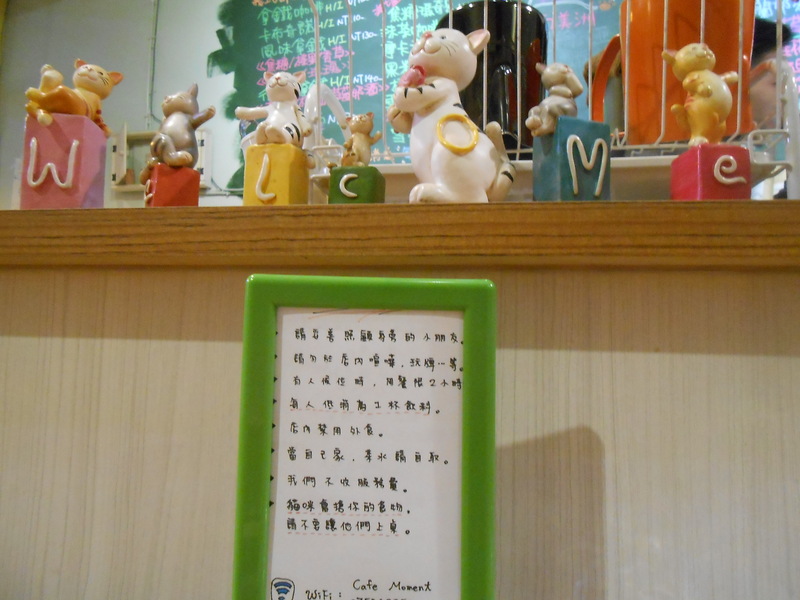 This is a relatively new cat cafe that didn’t make it into my book. 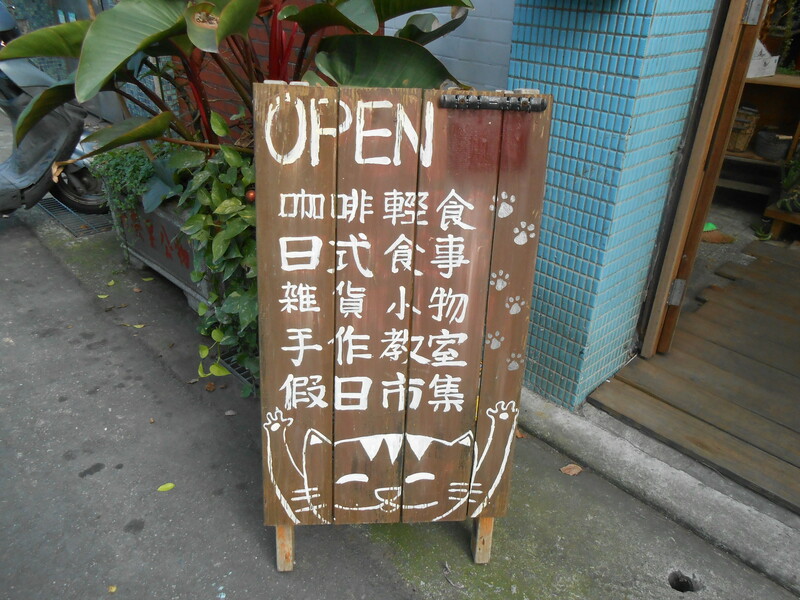 It’s in an alley in Banqiao, not a place I’d think to look for a cat cafe. 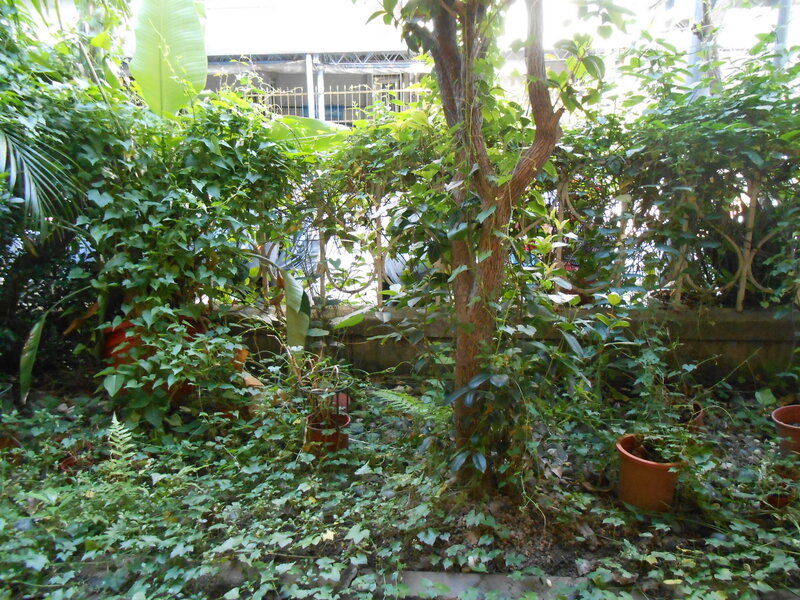 Some friends who live in Banqiao told me about it, and it’s definitely worth a visit. 我十月快要離開台灣的時候去這間咖啡館. 這間是比較新的, 我書裡面沒有. 我不知道板橋的小巷子會有貓咖啡. 住在板橋的朋友告訴我有這間, 我覺得很值得去. 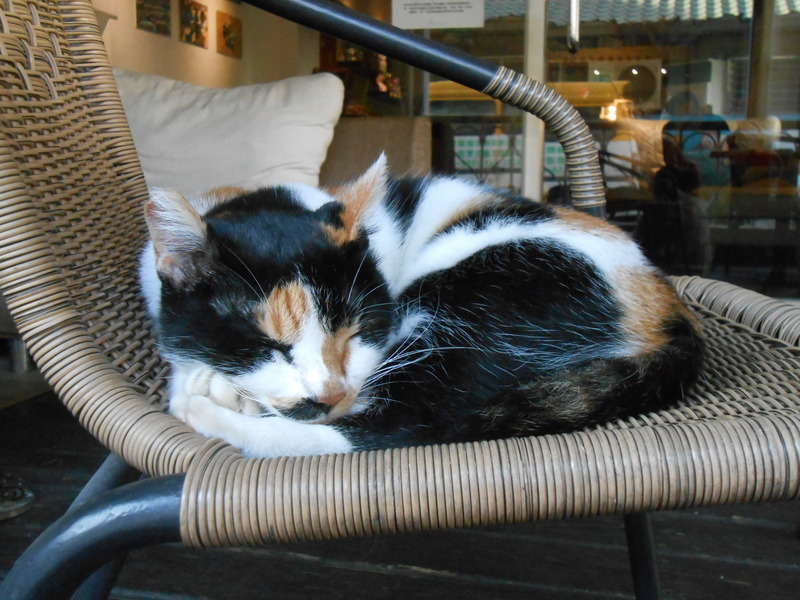 This vegetarian cafe and restaurant is home to about six friendly cats. They are happy to jump on the table and point to items they recommend on the menu, and to direct your attention away from any electronic devices. 這素菜的咖啡/餐廳有大概六隻可愛的貓. 牠們很開心跳在桌上幫你看菜單. 牠們不讓你看包包, 電子用品. The menu is completely vegetarian, and has a wide selection including pasta, veggie burgers, salads, waffles and desserts. 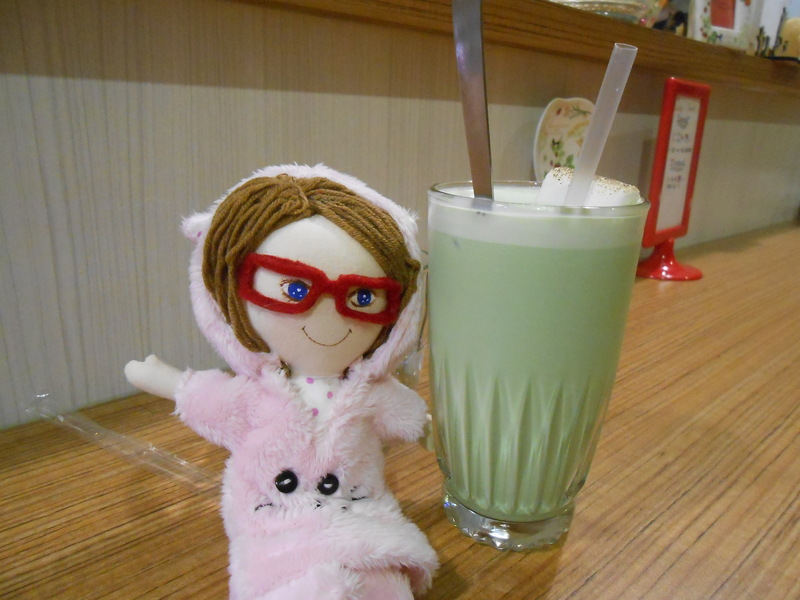 It has the usual variety of coffee and tea drinks but these are made with soy milk. Drinks range from NT$80-150 and meals are around NT$200. 菜單全部是素食的, 有義大利麵, 蔬食漢堡, 沙拉, 鬆餅, 點心. 飲料有咖啡, 茶, 拿鐵用豆漿. 飲料大概NT$80-150, 用餐大概NT$200. 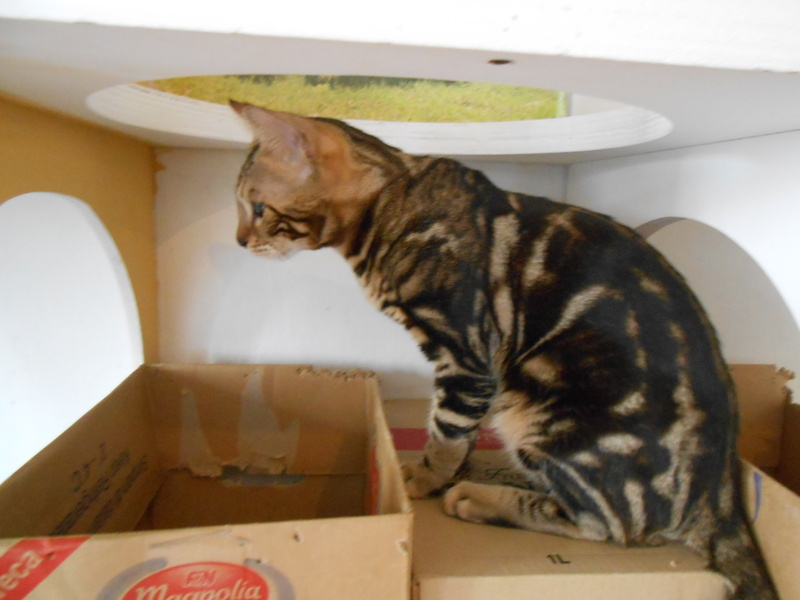 The cafe is bright and clean and the cats have plenty of room to climb and play, although most of them are a bit chubby and prefer lounging on the counter or on tables. 裡面很乾淨,很亮, 茂有很多地方可以玩, 跳來跳去. 但是大部分的貓比較胖, 比較喜歡睡覺在櫃台上或許桌子上. 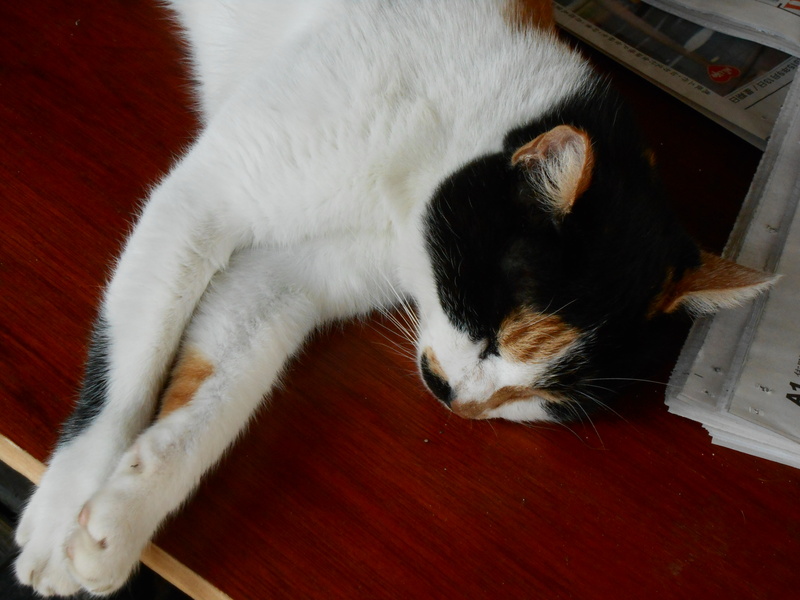 I haven’t posted since my book was published, partly because I’ve already been to most of the cat cafes in Taiwan and partly because I’ve moved to Malaysia. 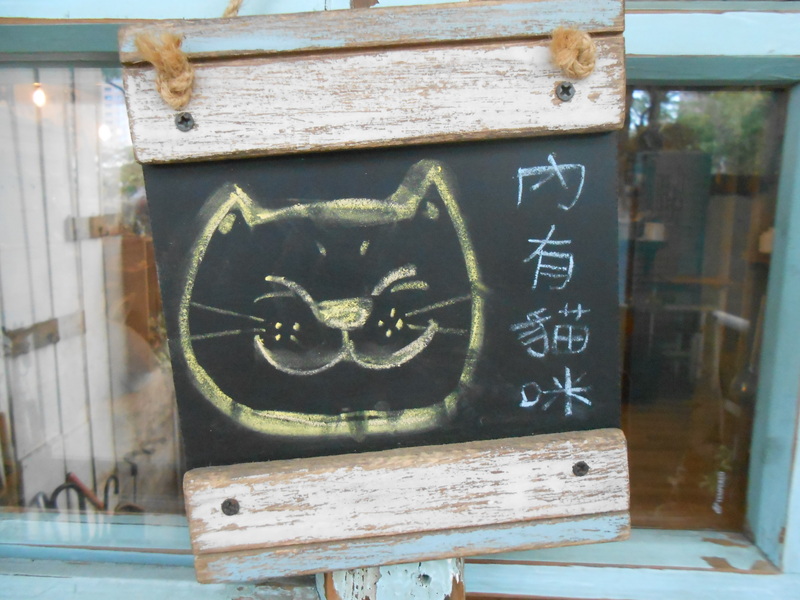 However, I just went back to Taiwan for a short trip and my friend told me about a new cat cafe between Zhongshan and Shuanglian stations. 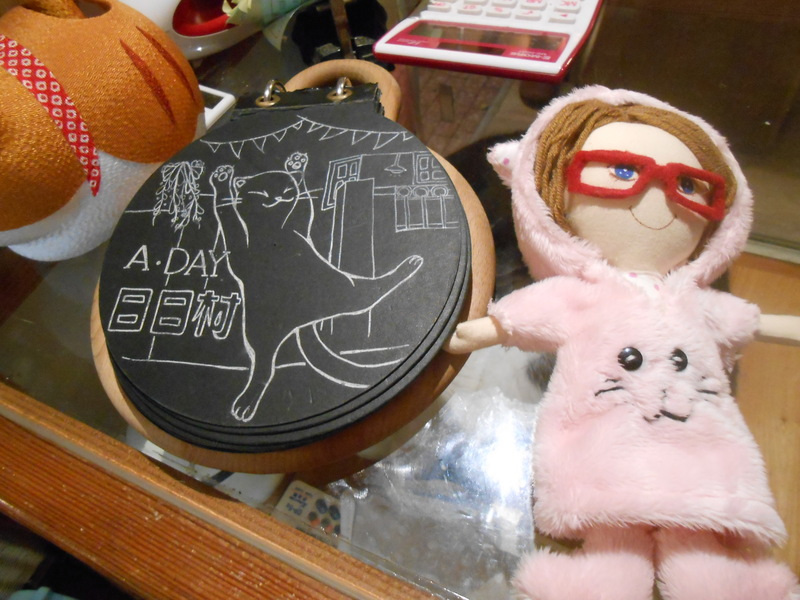 There’s no minimum drink purchase as this is also a shop with lots of cat-themed items, so people are free to browse. 我很久沒寫. 我出書之後, 我搬到馬來西亞, 還有我已經去過大部分的台灣貓咖啡. 但是我最近回來台灣幾天. 我朋友跟我說有一間新的貓咖啡在中山/雙連附近. 沒有最低消費因為他們賣很多貓主題東西, 可以進去逛. 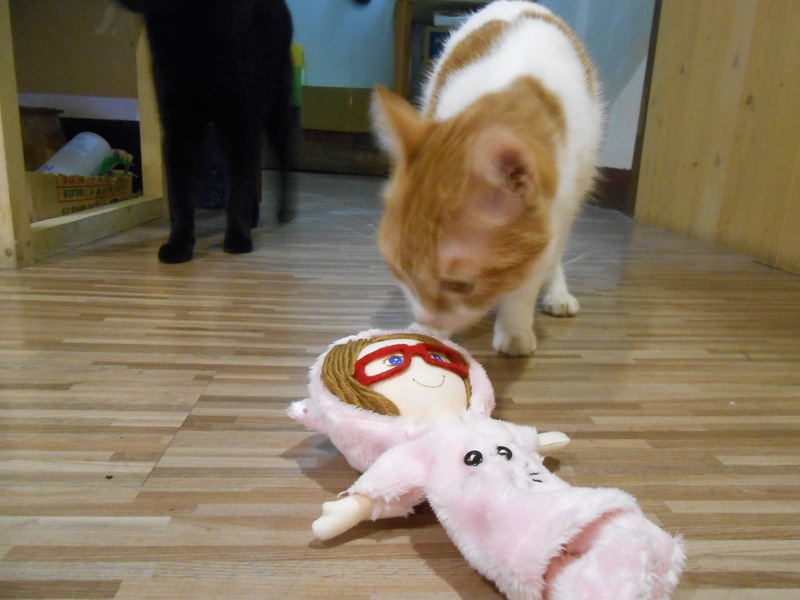 There are actually five cats, not three as the name suggests. 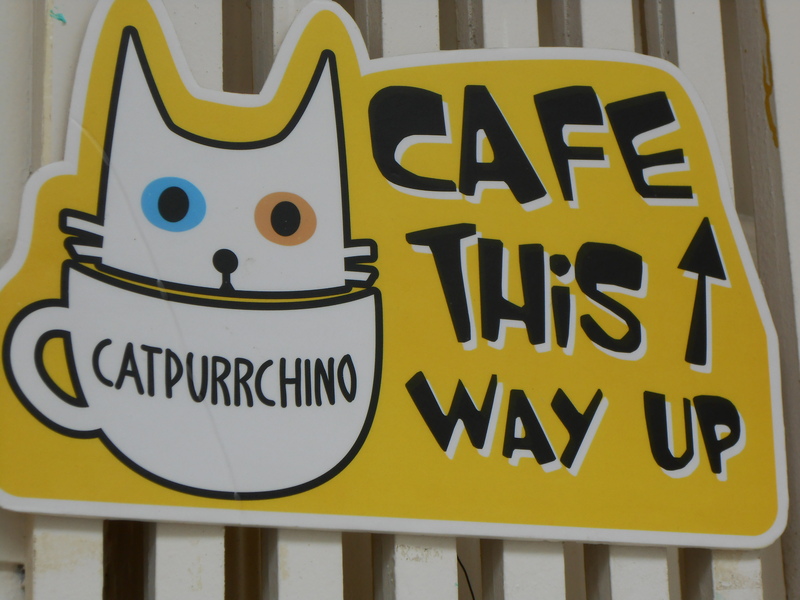 The name is the name of their brand and they were selling cat-themed items before they started the cafe. 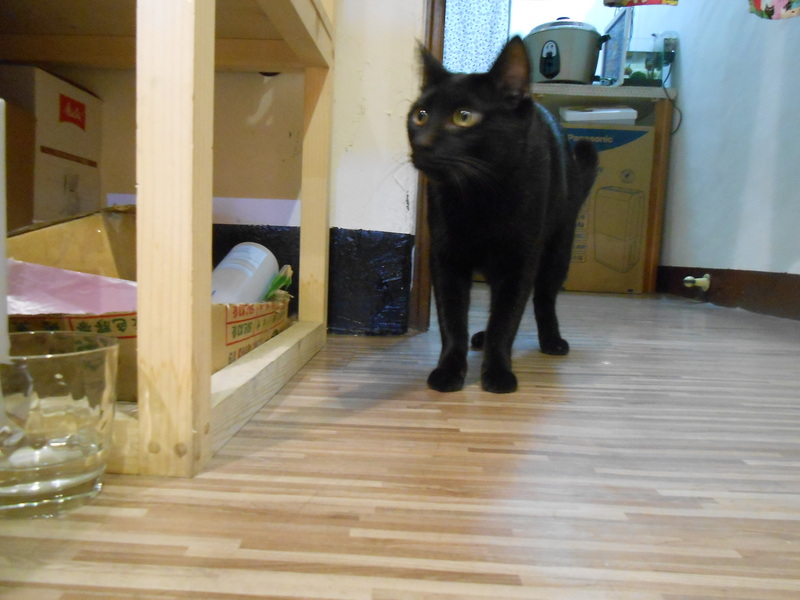 Two of the cats are friendly and three are shy. The long haired grey one was very friendly. The tabby was timid and wouldn’t let anyone pet her, but she was fascinated by my cat ears hat. 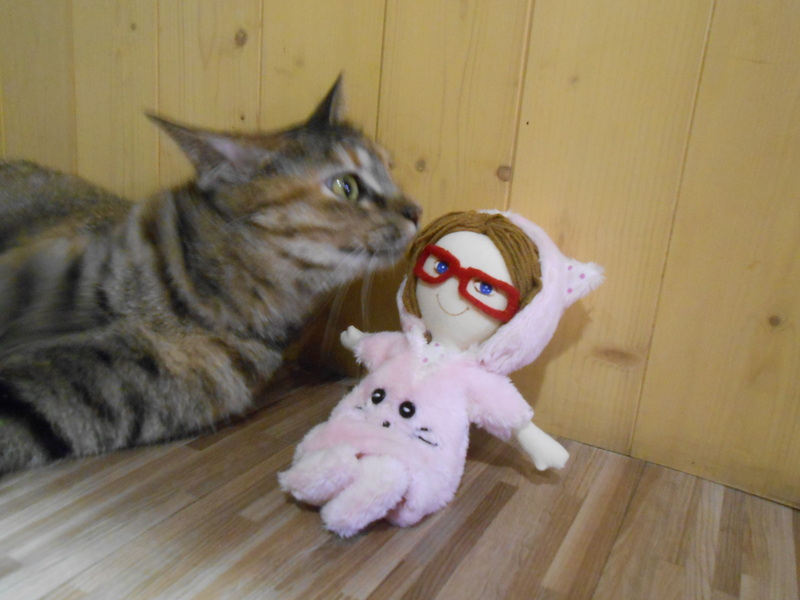 She seemed to think it was a real cat. 三貓小舖是他們牌子的名字, 咖啡裡有五隻貓. 兩隻喜歡人, 三隻比較害羞. 一隻很喜歡我的帽子. 牠很怕人, 但是牠好像以為我的帽子是一隻貓! 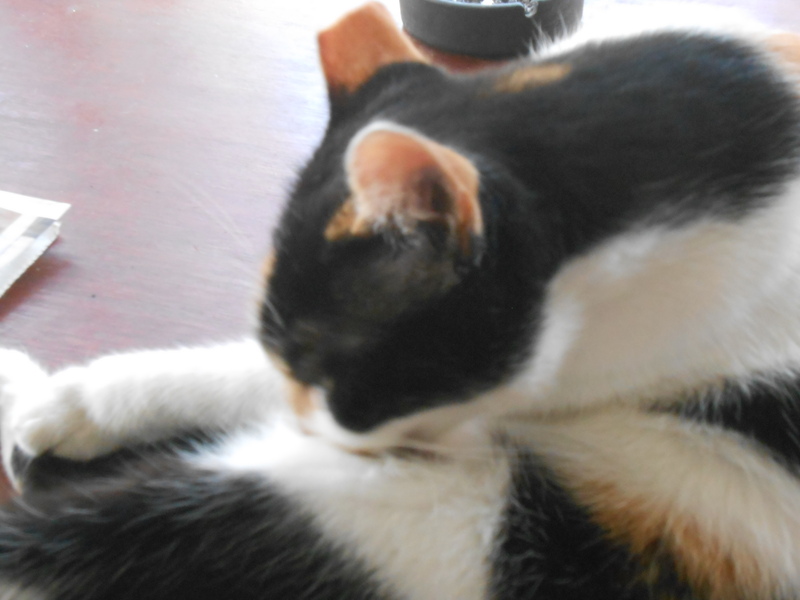 The two cats not pictured were an orange and white cat and a black kitten. My friends and I just had tea as the cafe was going to close in less than an hour. 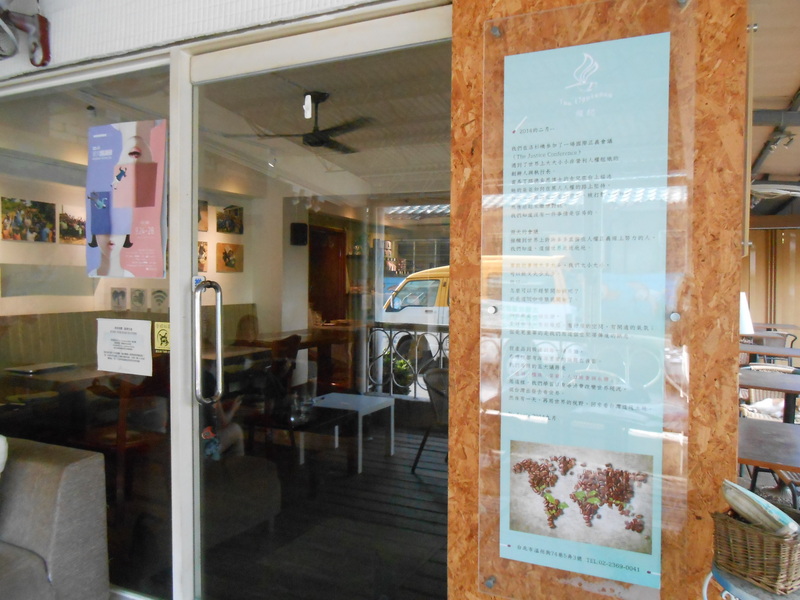 The menu has the usual coffee and tea selections and some desserts. 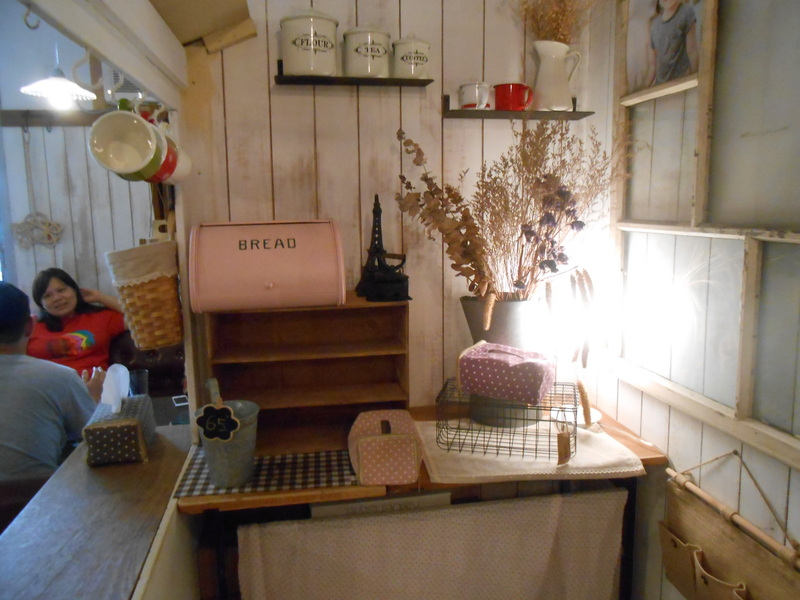 The shop has a large selection of adorable shirts, bags, stationery, wall hangings, coasters and more. 還有一隻黑色小貓, 一隻橘色的, 我沒有拍到. 我們隻喝茶因為咖啡館快要關門. 菜單有咖啡, 茶, 點心. 他們的商品非常可愛, 有很多很特別的東西. 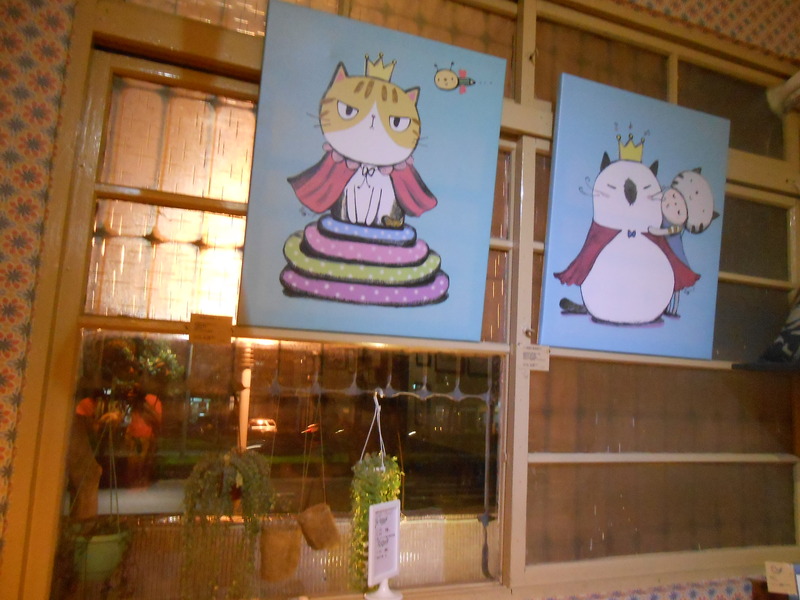 This is a relatively new cat cafe in Kaohsiung, which just opened a year ago. 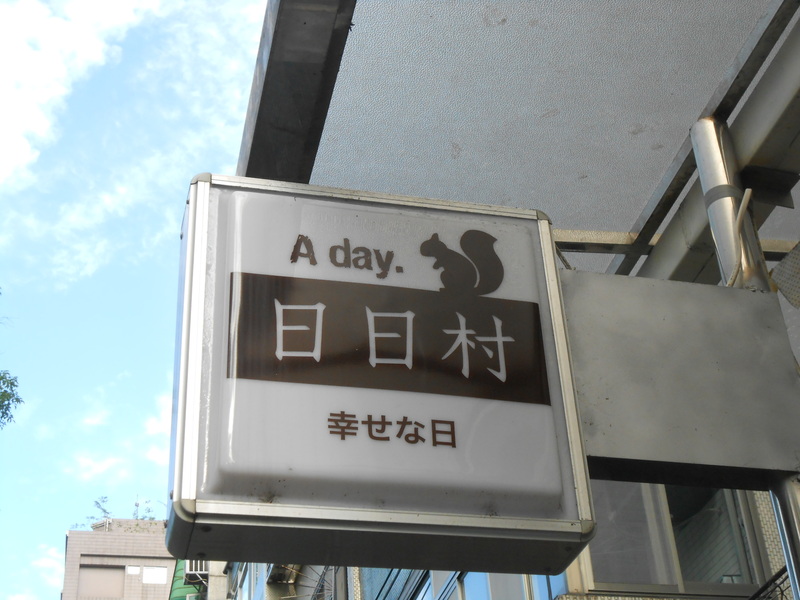 They also have a branch in Tainan. 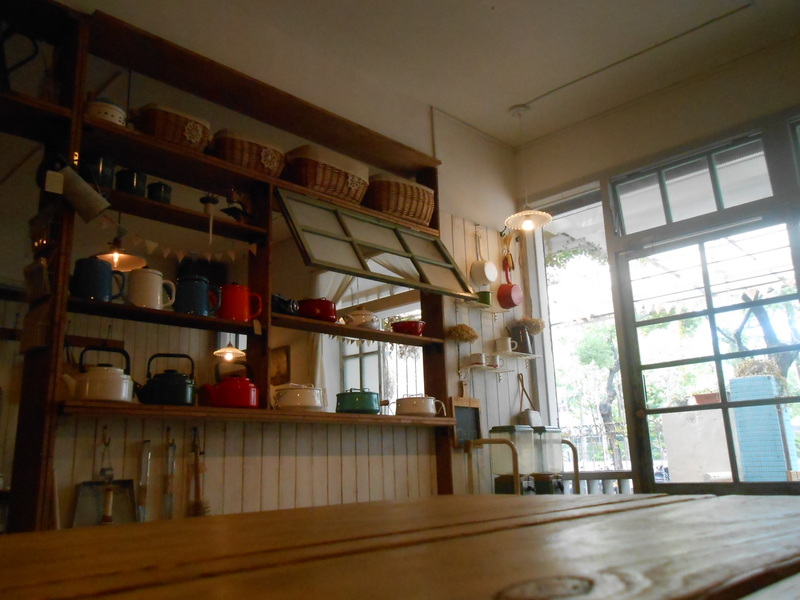 The cafe is clean and brightly lit and has five cats and one dog. 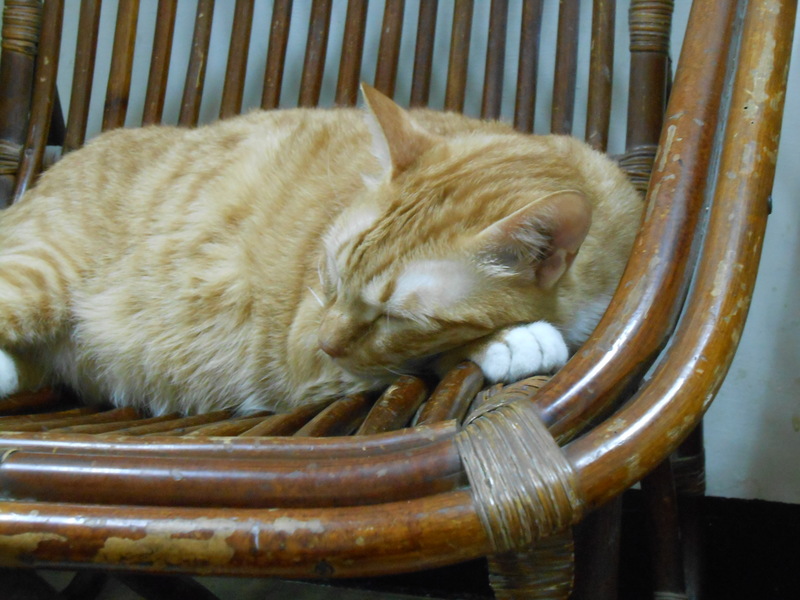 The cats are all friendly, the dog only sometimes is; he doesn’t seem very happy about spending so much time around cats. The cafe is on two floors. There’s plenty of seating and free wifi. 這間貓咖啡在高雄市新的, 一年前開業. 他們還有一間在台南. 咖啡館很乾淨很亮. 他們有5隻貓, 一隻狗. 貓都比較輕鬆, 狗有時候會兇, 好像他不太喜歡貓. 咖啡館有二樓, 所以有很多位置. 他們也有wifi. 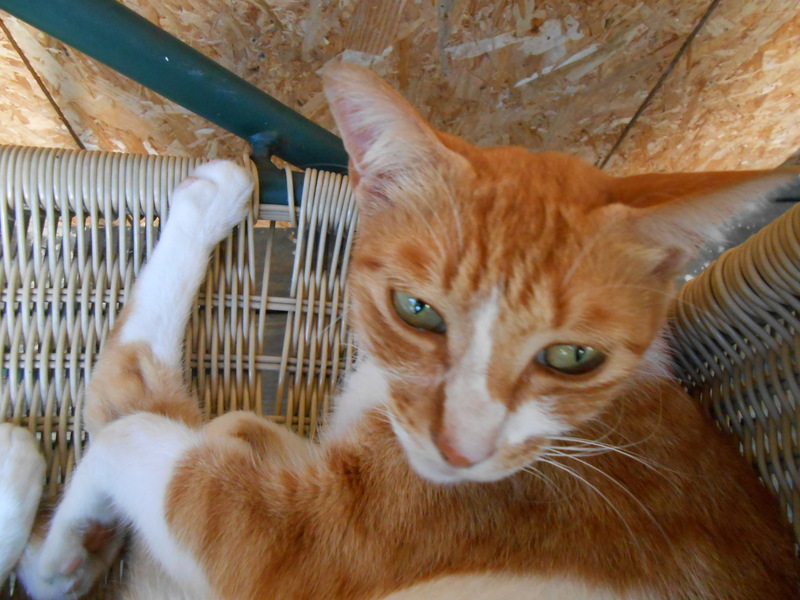 This fat orange cat (named Orange) was one of my favorites, and the staff say he’s the friendliest. 我很喜歡這個胖的橘色貓(他的名字是橘子), 店員說他是最親人的貓. 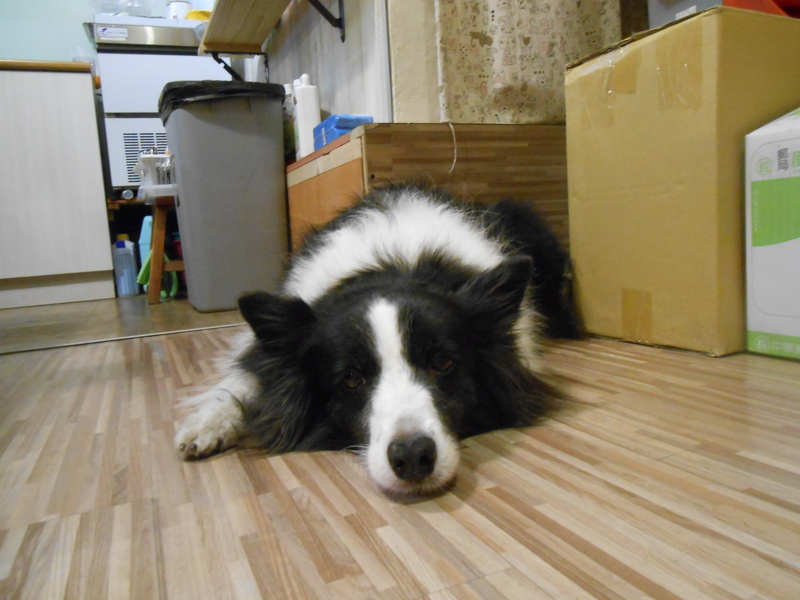 This is the dog. 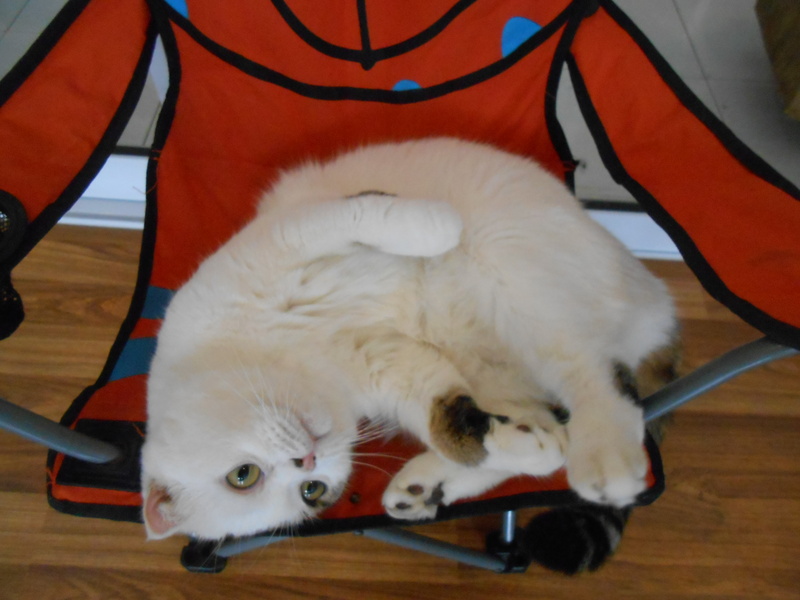 He looks cute and he lets people pet him, but he growled and tried to start fights with the cats several times. They said he was in a bad mood that day. 這是店狗. 他看起來可愛, 也會讓人摸牠, 但是他對貓嗥叫還要跟他們吵架. 店員說他當天心情不好. There’s a good selection of drinks on the menu as well as desserts and light meal options. 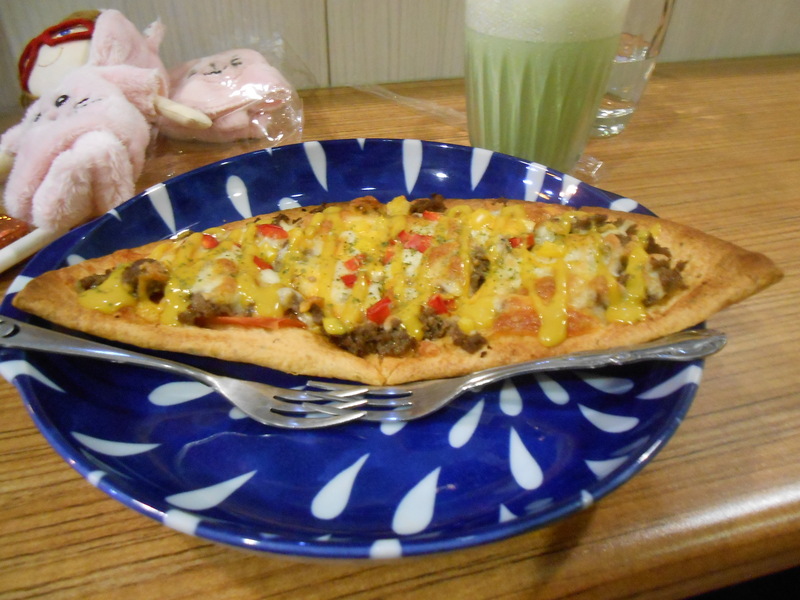 I ordered a green tea latte (NT$120) and a beef and cheese quesadilla (NT$140). Both of these were very good. 他們有很多飲料選擇, 還有甜點, 間餐. 我店錄茶拿鐵(NT$120)還有牛肉起司餅(NT$140). I rarely go to Kaohsiung, but if I do, I’d go back here, and I’m planning on checking out the Tainan branch. 我很少去高雄但是如果我在去, 我會回來這間, 還有我想去他們台南的店. I found this on the way back from Cafe Fima. 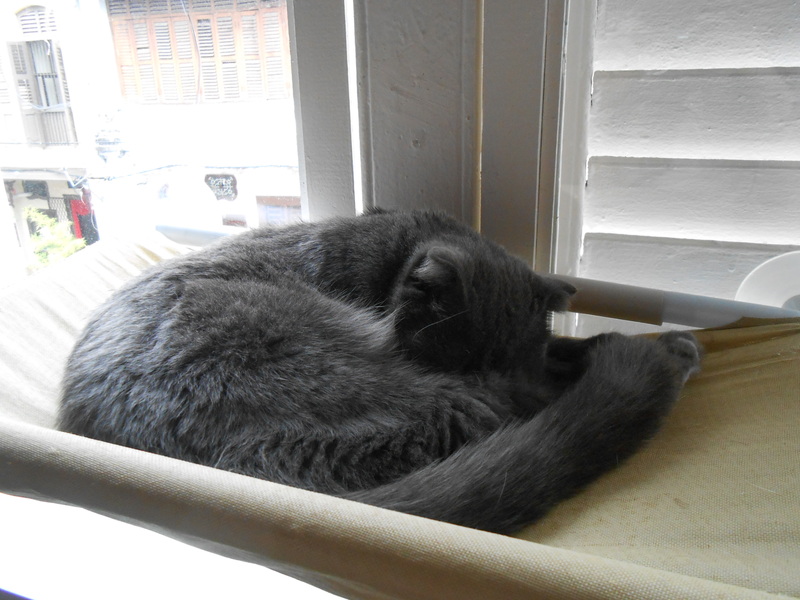 This is also more of a cat with a cat rather than a cat-themed cafe. But still, I saw the cat signs outside and had to go in. 我先去菲瑪咖啡, 在路上找到這間. 這間也是’有貓的咖啡館’ 不是真的貓咖啡館. 但是我看外面的牌子說有貓, 所以一定要進去. It’s in an old building and has wood floors and cute, country style decorations. 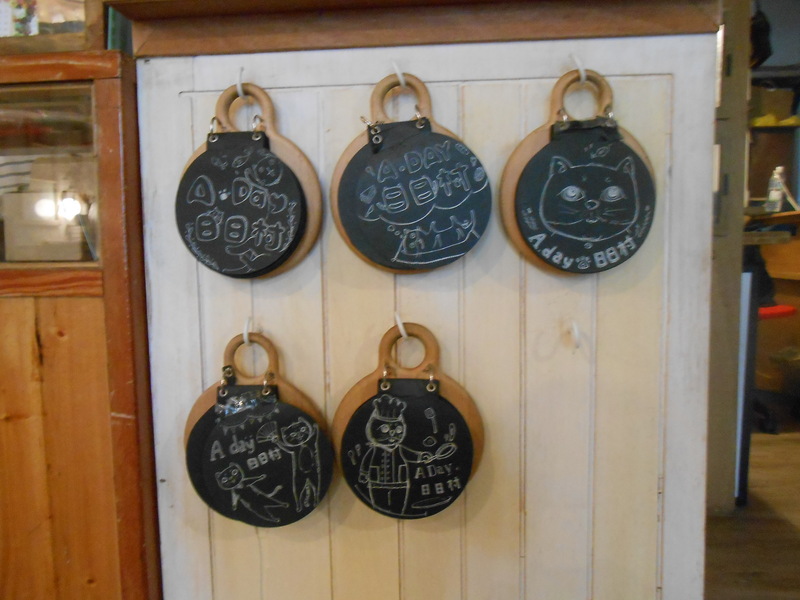 Some of them are cat-themed, and the menus have cats drawn on them. 裝飾都很可愛, 在一個古老的房子. 有些有貓主題, 菜單有貓畫在上面. 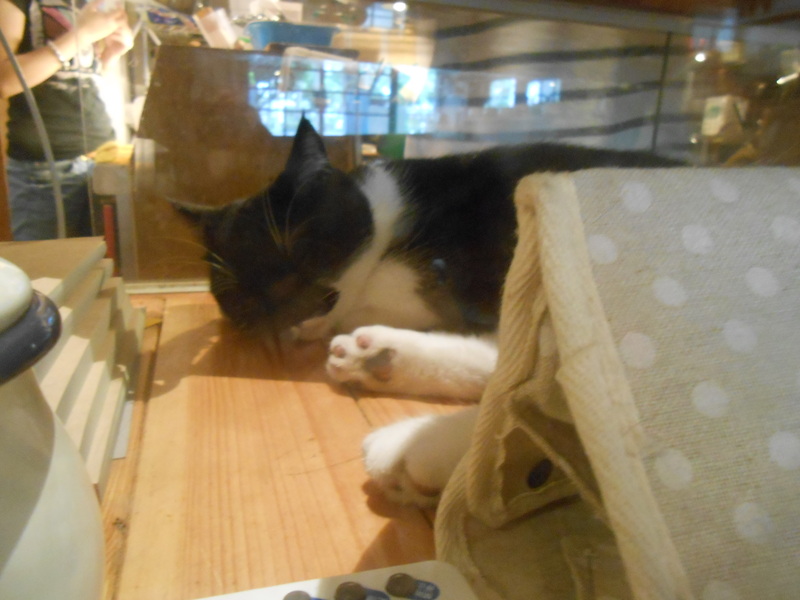 The cat was asleep in the glass counter the whole time I was there. 我在的時候, 貓都在玻璃櫃台裡面睡覺. Since I’d just been to one cafe and wasn’t planning on staying long, I just ordered an iced Americano. The menu has a variety of meal choices; their specialty seems to be Japanese food. 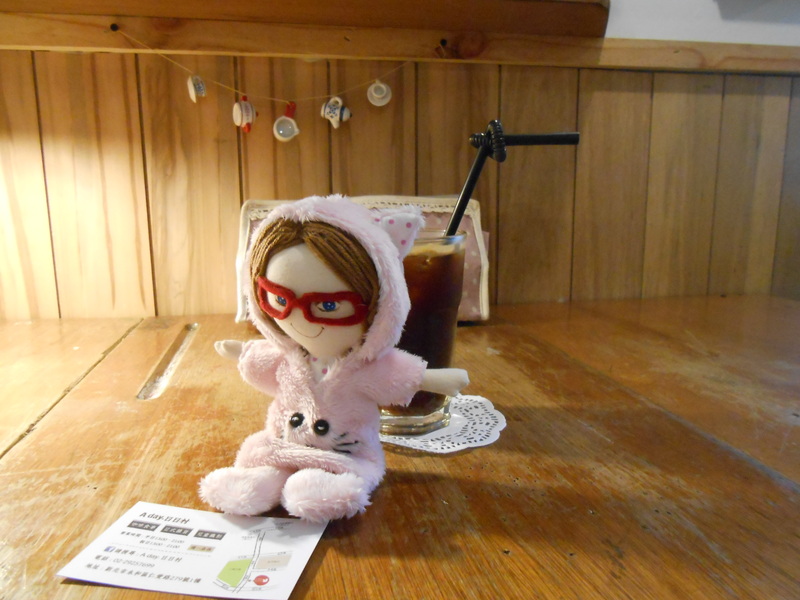 They also sell postcards and other cute knick-knacks, many of them also Japanese style. 因為我已經剛去咖啡館, 我只點一個冰美食咖啡 (NT$110). 菜單有很多選擇. 他們的招牌是日式料理. 他們也有賣信片, 還有可愛的日式小品. 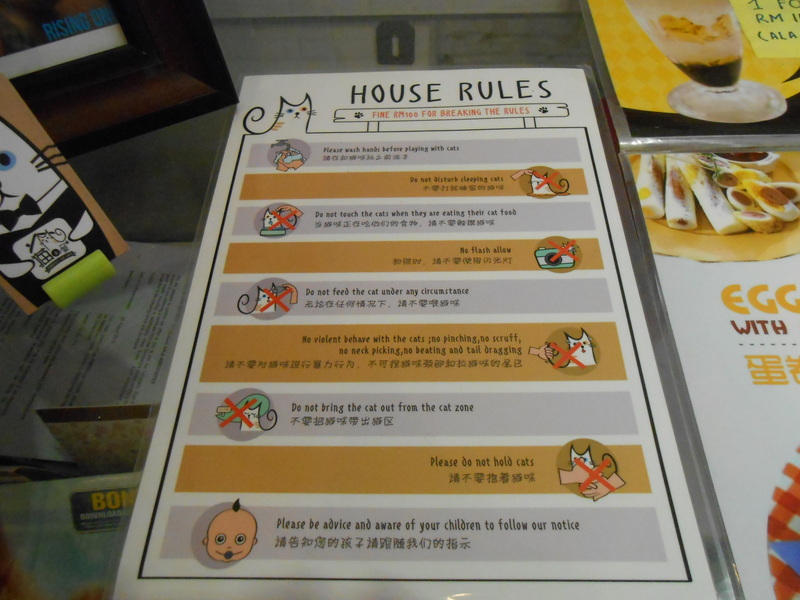 I went to Penang for a race and found out that there was a cat cafe there! 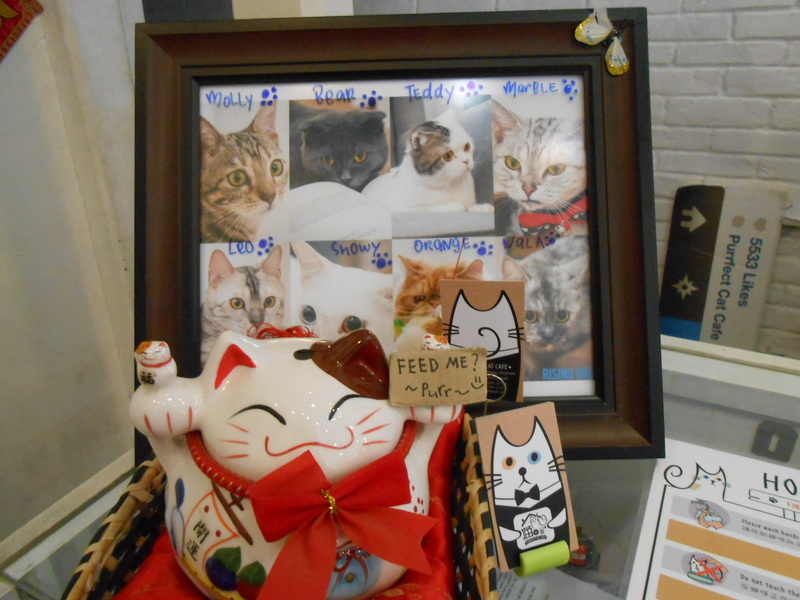 The first floor sells postcards, shirts, magnets, jewellery and other cat-themed items. 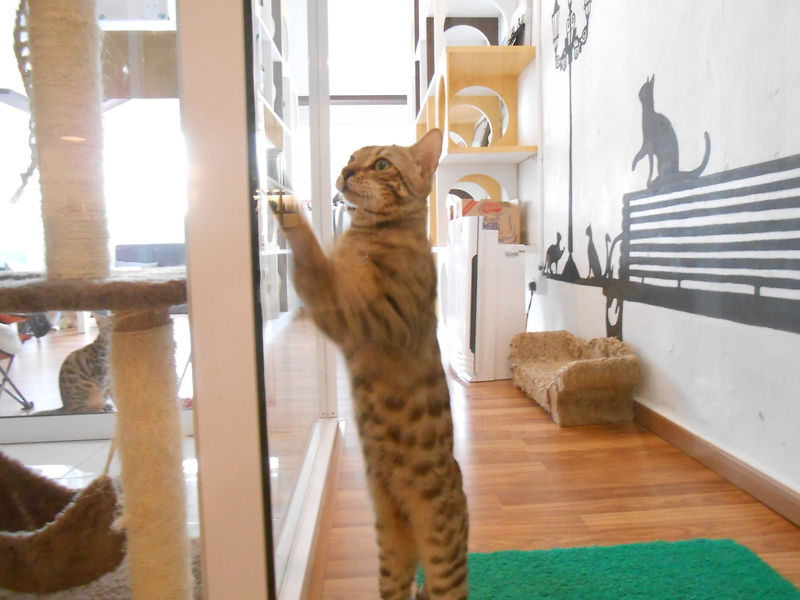 To go to the second floor where the cats are, there’s a minimum purchase of RM18. They have a menu at the counter to order food and drinks. After paying, customers need to take off their shoes and wash their hands before going upstairs. 我去檳城跑朝馬, 我發現他們有一間貓咖啡! 一樓賣很多關於貓的商品. 要進去二樓要先點只少RM18的東西. 在櫃檯有菜單. 付錢後, 客人要脫鞋, 洗手, 然後可以上二樓. 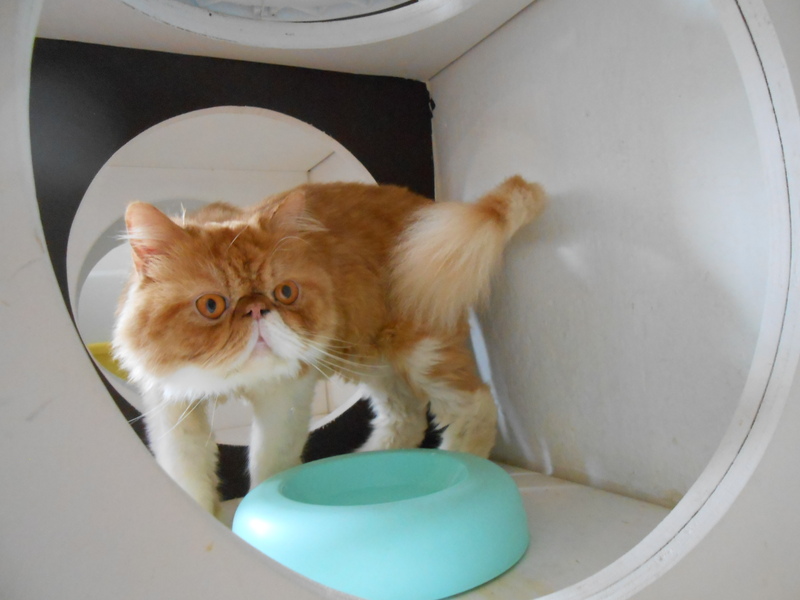 Upstairs, the cats are in a glass room separated from the food area. 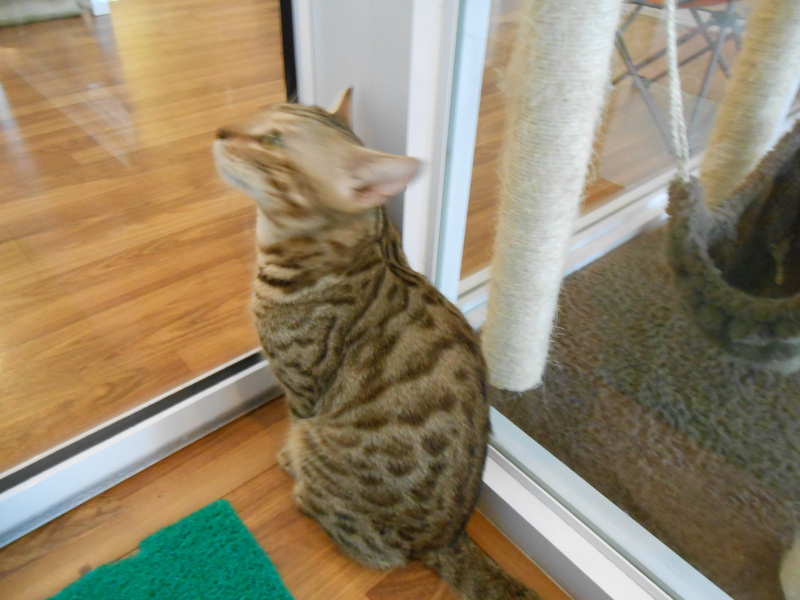 One of the cats kept pawing at the door and meowing to get out. 在樓上, 有貓區, 用餐區分開. 一隻貓一直要來用餐區! I played with the cats while waiting for my order. They have eight cats, all very friendly. 我等我的套餐, 我跟貓玩. 他們有八隻很可愛的貓. 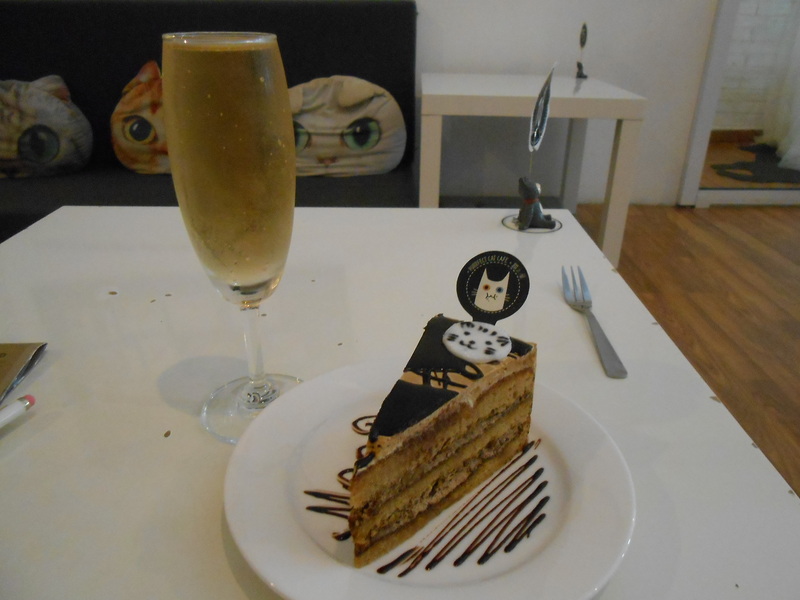 I ordered a set, RM20 for a piece of cake with choice of juice, soda or non-alcoholic champagne. The cake was very good. 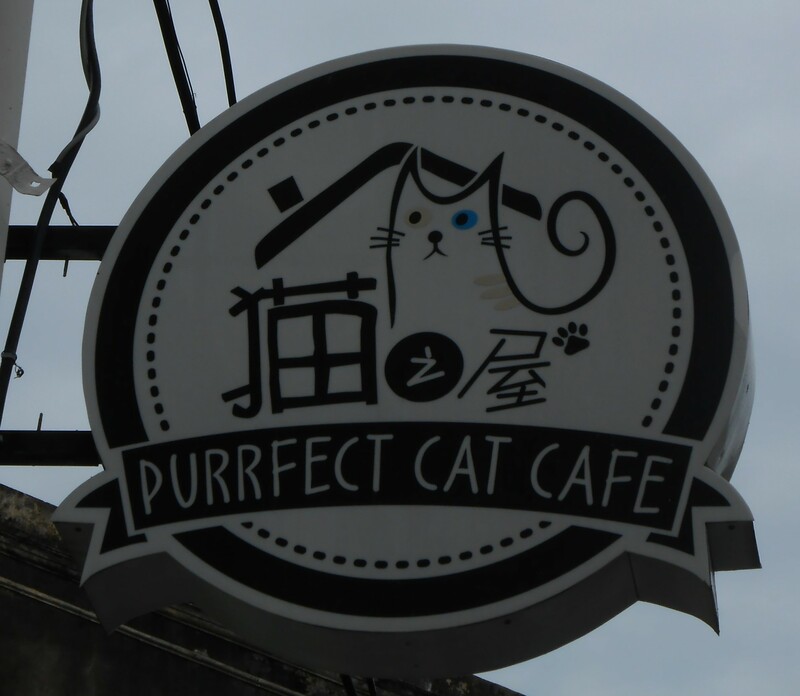 I liked this cafe although I’d rather sit in the same room as the cats. 我點套餐 (RM20), 有蛋糕還有飲料. 蛋糕很好吃. 我喜歡這間, 但是我比較喜歡跟貓坐在一起. I came across this place while wandering around the alleys near Gongguan. 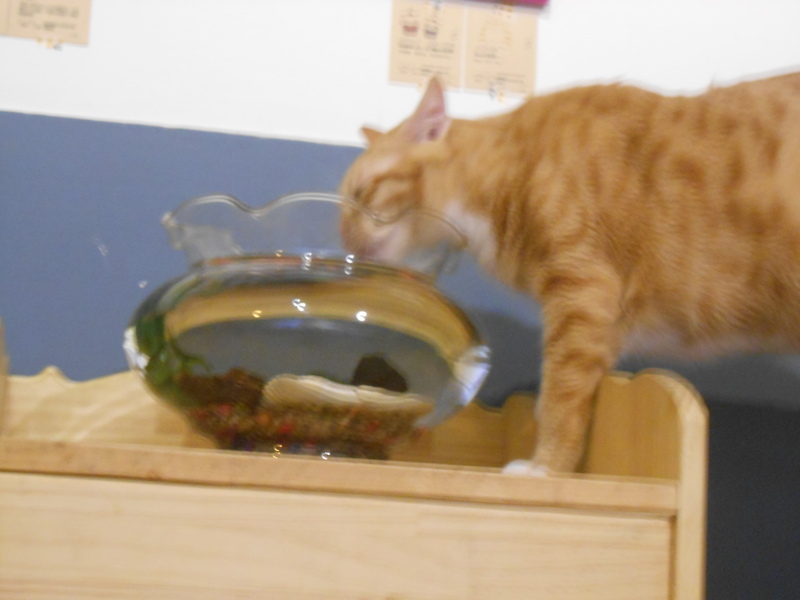 I saw two cats outside and decided to go in. 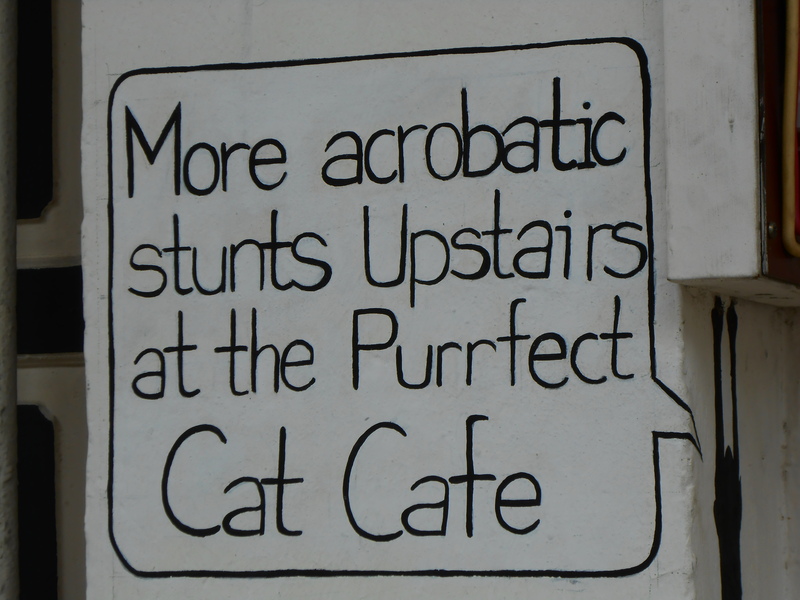 The cats are only outside though, so this is more of a cafe with cats than a real cat cafe. 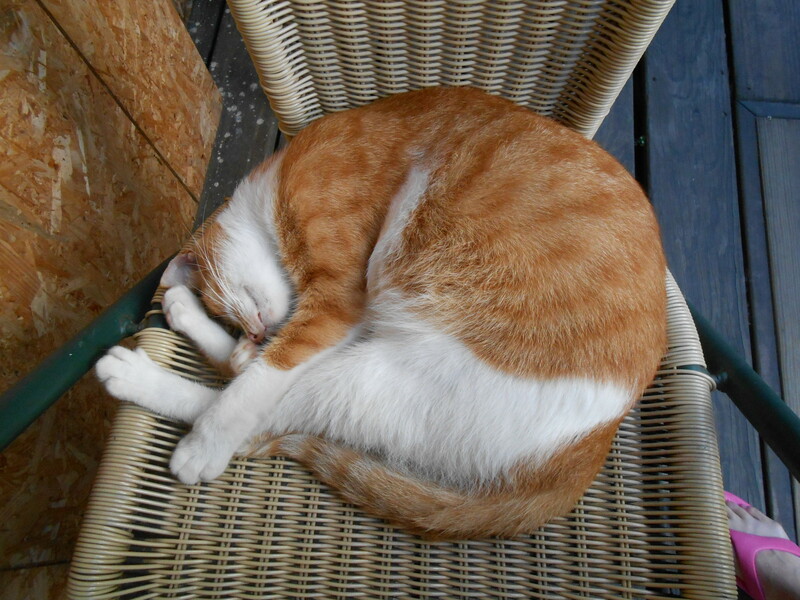 They do have lots of outdoor seating and since it was a nice day, I sat at a table with a cat. 我在公館逛逛找到這間. 我看到兩隻貓在外面, 所以我進去. 其實貓都在外面, 不可以進去, 所這間不是真的貓咖啡, 只是有貓的咖啡館. 但是外面有很多位置, 所以我坐在一個有貓的桌子. 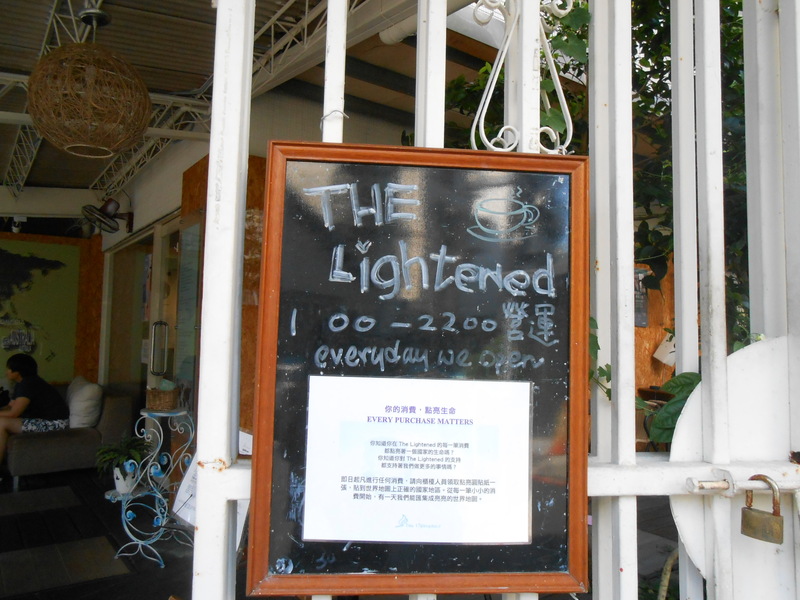 The cafe’s specialty is gourmet, ‘direct trade’ coffee. 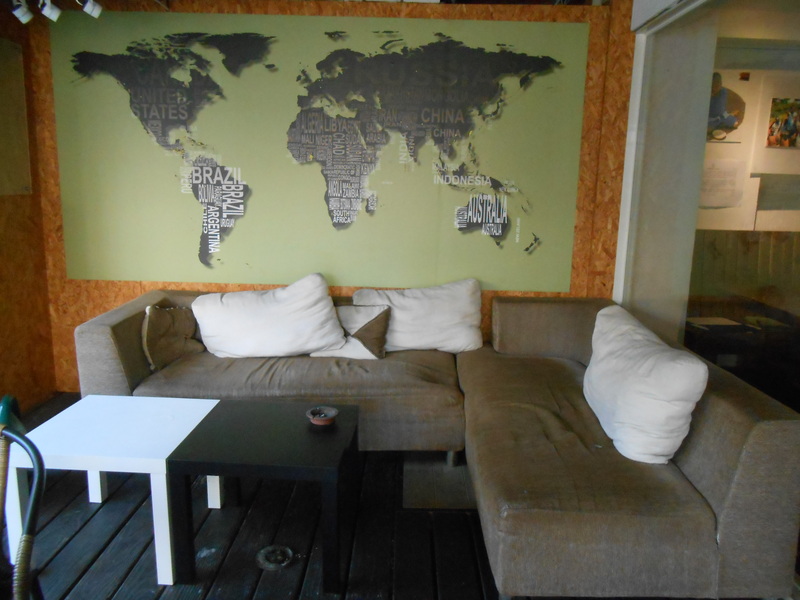 Inside the walls are decorated with pictures from the countries the coffee comes from. 這間的特色是 ‘direct trade’ 咖啡從非洲來的, 裡面有咖啡的國家的照片. 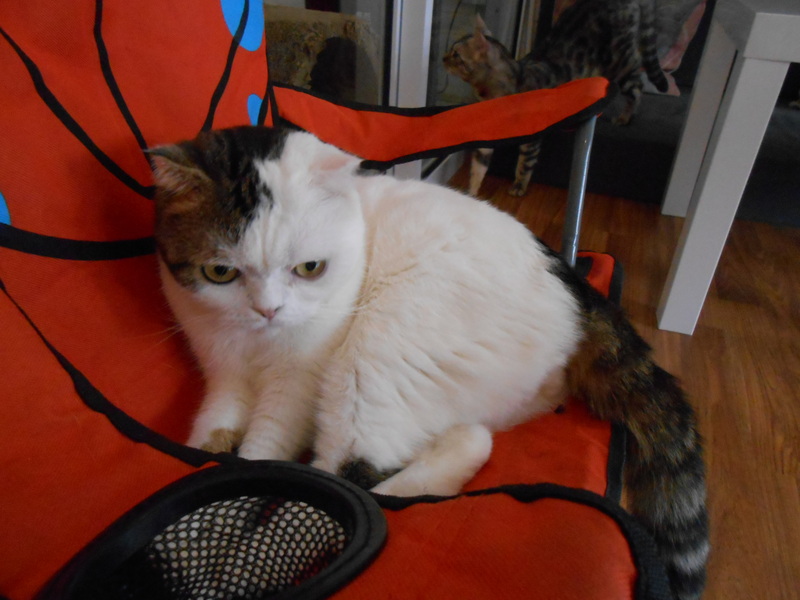 I’d rather be outside with the cats though. 我比較喜歡外面因為有貓. The menu has a variety of coffees and teas. 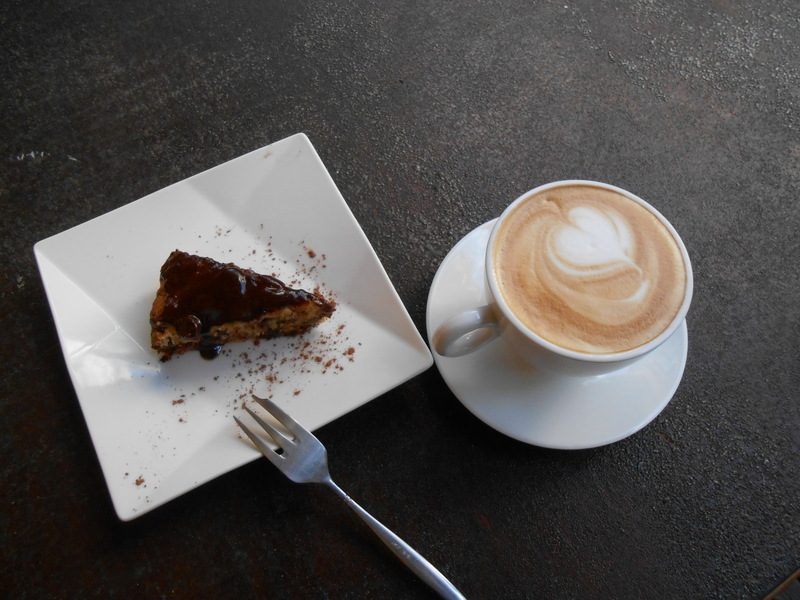 I had an afternoon tea set, a cappuccino with the dessert of the day, chocolate banana cake. 菜單有很多種咖啡, 茶. 我點下午茶套餐, 卡布奇諾和巧克力香蕉蛋糕. 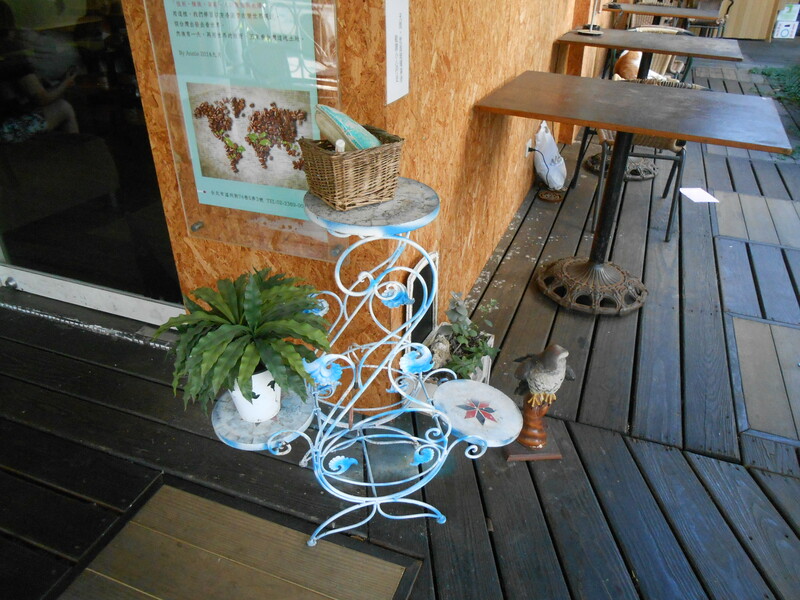 This is a nice cafe if the weather is good. 如果天氣好, 這間很好.